Mermaids are captivating creatures! As you know, sailors have long told tales of these femmes’ fatales that live in the sea and lead men to their death! In fact, many lonely fishermen claimed to have seen beautiful women that are half fish and half human in their long journey across the sea. And in case you didn’t know, there’s even been a couple of sighting in New Jersey in the 1800’s. Now whether you believe in them or not it’s beside the point! 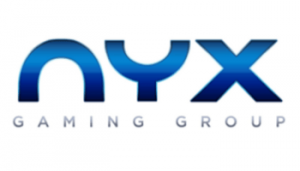 But know that NYX Gaming brought to life these lovely creatures in Siberian Siren video slot. And unlike “real” mermaid the ones in this game are quite easy to spot! How to trigger the bonus features of Siberian Siren video slot? To sum up, Siberian Siren has 1 bonus feature and it’s, of course, the Free games! But don’t think that this game is dull because it only has one feature. In fact, the Free games come with a nice little add-on which comes in the form of extra spins! How to win extra spins? When you play, Siberian Siren know that after landing 3 or more Scatter symbols (a blue egg) the Free games will immediately start. What’s more is that as you play, you’ll have the chance to win more Free rounds progressively depending on the numbers of Scatters you get on the reels. In short, 5 Scatter symbols will give you 3 Free games and 5 extra credits. 4 Scatter symbols will reward you with 2 additional spins + 3 credits, and lastly you’ll get 1 Free game with 3 Scatter Symbol, and you’ll also win an extra 2 credits. The maximum number of Free rounds you’ll have the chance to play simultaneously in Siberian Siren is 120. Why should you play Siberian Siren video slot? Siberian Siren is a very straightforward game to play! Because it’s one of the first game released by NYX Gaming. Which means it doesn’t have all the fluff that other online slots have. But still, this game will appeal to players that don’t like complicated slots and want to win big! What’s more is that unlike other Mermaid theme slot this one will suit both male and female players. Also, if you’ve carefully read the game facts just above you will have noticed that this game offers a jackpot. Granted that it’s not a progressive jackpot but still, it’s always nice to know that you can win a little extra with a special symbol combination. If you want to try this slot, simply visit any casinos we’ve mentioned above. And check our casino bonus section on your way out to have more money to play with! Good luck!